Art Modell, former owner of the Cleveland Browns and the Baltimore Ravens, passed away on Thursday at the age of 87. 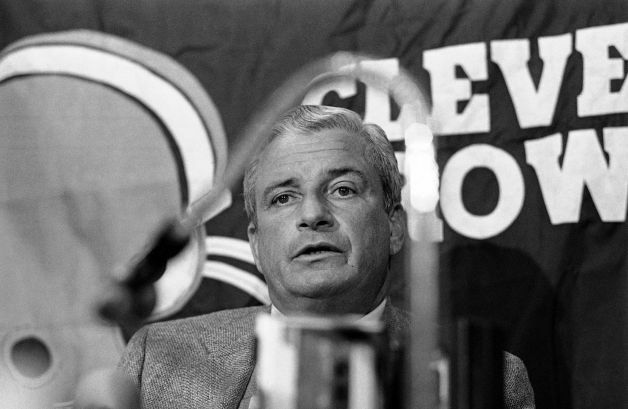 We are not here to praise Modell, nor will we criticize him or try to rewrite history. If that is what you are looking for, it should be easy enough to find a narrative that suits you elsewhere. Instead, we wanted to share what we will always remember about Modell. He remains the last owner to bring a championship to a Cleveland team, winning the NFL title in 1964. He was influential in helping the NFL grow through television, both through his work on the league’s television committee and his support of bringing football to Monday nights. He served on the AFL-NFL merger committee and took one for the team by agreeing to move the Browns to the AFC. In doing so, he broke long-standing rivalries with the Giants, Cowboys and Redskins, but created new ones with Pittsburgh, Cincinnati and the Oilers (while they were still in Houston). He was also very generous to his adopted hometown of Cleveland, working on a variety of philanthropic projects. He was an owner who’s ego was so big that he fired Paul Brown, only the greatest coach in the history of the NFL and someone who’s legacy continues on in the game today. He was an owner who’s ego was so big that he forced Jim Brown, only the greatest running back in NFL history, into early retirement. He may also be the only owner in NFL history to run two franchises into the ground. That’s what we will remember about Modell. With Modell’s passing, the only link to the Browns move to Baltimore is Randy Lerner. The impending sale of the Browns from Lerner to James Haslam will break that tie and, maybe, finally give the city of Cleveland, the Browns and their fans a clean break. Hopefully whatever bad mojo is left in the building will finally go away now that no one associated with the team was involved in the move. And one last thing: it wouldn’t surprise us if the NFL mandated a moment of silence for Modell prior to the start of Sunday’s slate of NFL games. If the NFL decides to go down that road, it may be best for everyone if they gave Cleveland a pass. Since they did not stop Modell from taking the Browns away from Cleveland, it’s the least that the league could do.